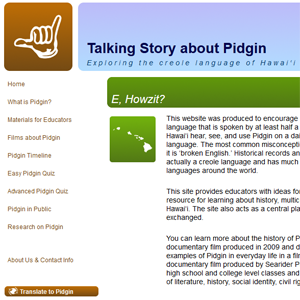  Pidgin Project: Can Haoles Talk Pidgin? 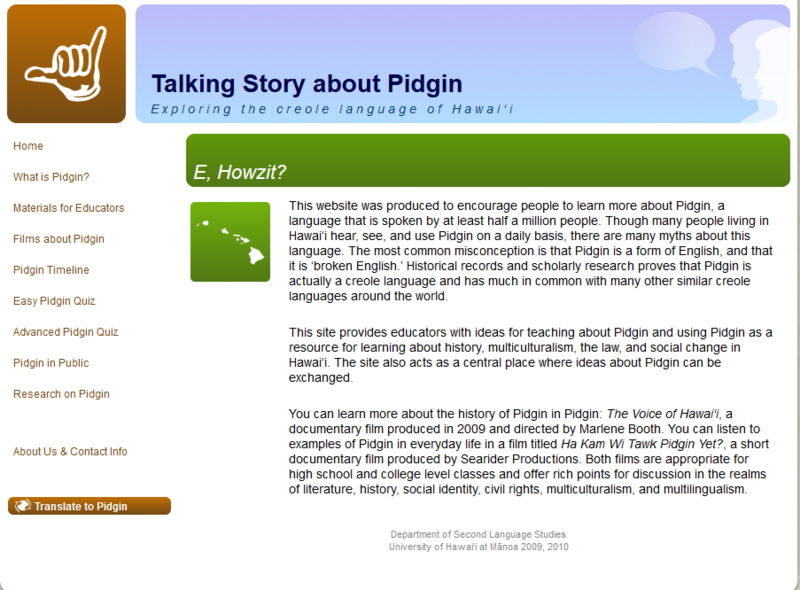  Ha Kam Wi Tawk Pidgin Yet? © The Charlene Junko Sato Center for Pidgin, Creole, and Dialect Studies 2019. Intuition theme by CPOThemes.